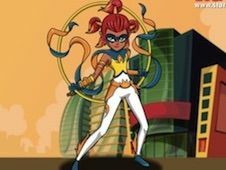 Mysticons Games is an exciting category appeared on our site inspired from a new Nickelodeon animated television series full of action and amazing characters. 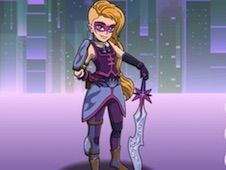 We are going to tell you a few things about this new show and then we will present you a summary of the games that can be found here on our site in Mysticons Games category. 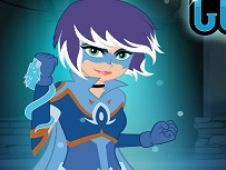 In the series you can find about a mystical land called Gemina where four teenage girls are chosen to become the Mysticons, a group a heroes who have the magical powers of Dragon Disk. The girls have to learn to control their powers in order to stop a villain, Dreadbane. He is a very evil and he wants to destroy Gemina so the girls are the only hope of the innocent people. They have to find the four spell books and symbols in order to discover all their powers to be able o defeat the evil. in the series you can see the amazing quest of the girls who have to learn to work like a team in order to improve their skills and powers. They will meet a lot of enemies and they have to defeat them all to accomplish their goal. Arkayna Goodfey is the leader of the girls. He is very brave and good at making plans. Her color is dark green and he is very powerful. Emerald Goldenbraid is a dwarf and her color is purple and sometimes pink. Zarya Moonwolf is an orphan with a good heart. He always help other kids from the streets and her color is dark blue. Piper Willowbrook has yellow as her signature color and he is an elf. Piper Willowbrook is the Striker Mysticon. Zarya is the Ranger Mysticon. Emerald is the Knight Mysticon and Arkayna is the Dragon Mage Mysticon. I am sure you will love these girls and you can not wait to see their new adventures. Here on our site you can see the first Mysticons Games and I am sure you will have a great time playing them. Leave us a comment to tell us which is your favorite game from Mysticons Games category. 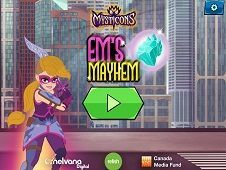 I suggest you to try all the games from Mysticons Games category if you want to find your favorite one. Tell us in a comment which is your favorite girl from this new Nickelodeon series. In the Mysticons Games category you can find a lot of interesting games for all ages, both girls and boys. You have a game where you need creativity to color an image with the girls. You can even save the image in the end if you are proud of your work. If you complete your goal successfully in some ability games you can reach the top of the best players. This type of games are the puzzle game, the memory game and the paddle ball game. I think you can handle the challenges if you focus in this amazing category and you can prove to everybody how good are you. In the coloring game you will get a lot of great colors, I am sure you can find what you need. If you use your imagination I am sure you will bring the image to life. You have an eraser to repair your mistakes. If you do not like the image that you have colored you can restart the game. 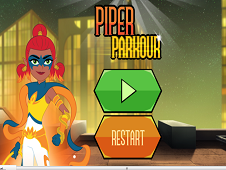 You have an amazing running game in this category where with a girl called Piper you will make parkour and you have to do your best to go as far as possible. In this game is important to be fast if you want to avoid all the obstacles and to obtain a big score. In that memory game you have to find the pairs. Try to be fast if you want to reach the podium. In the puzzle game you have to arrange the pieces before the time runs out. Give us a g plus to help us promote the Mysticons games cateogry for all the kids. If you fail to complete your goal in a game you do not have to be disappointed. You have to try again and to learn from your mistakes in order to make sure that you will complete your goal successfully this time. YOU KNOW THIS ABOUT Mysticons Games? In Mysticons Games page you can find 5 games that we've published for these kids and children that are interested to play Mysticons Games, this game category have been created on 22.09.2017. These games with Mysticons Games have been voted a lot of times and we are inviting you to let a comment after each of this game.